Orville Augustus Knight was a son Rhoda Futch and George Washington Knight. He was born and raised in Berrien County in the 1144 Georgia Militia District, the Rays Mill District. For twenty years or more O. 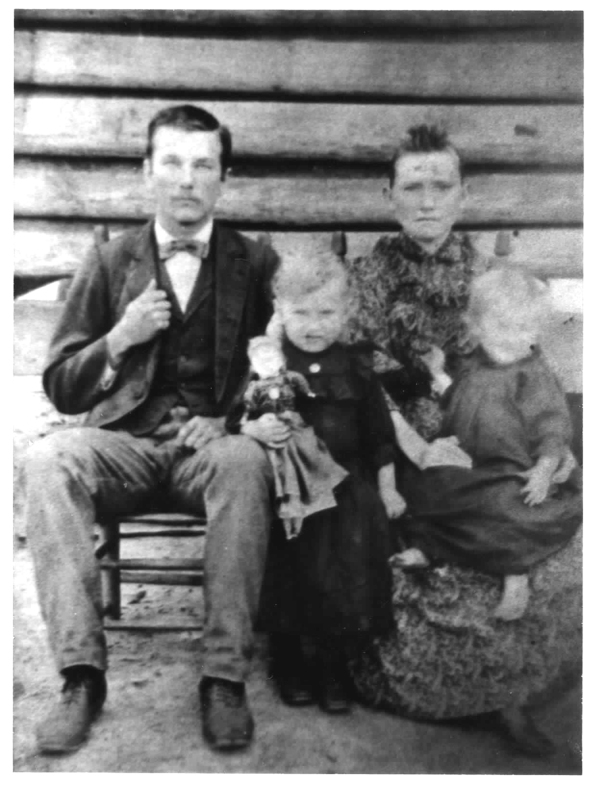 A. Knight made his home near Ray City, GA, and most of his life he was engaged in farming on his own account. He became a member of Empire Church, a few miles northeast of Ray City, and in 1915 at the age of 41 was ordained as an Elder of the Primitive Baptist faith. In 1925, Orville A. Knight became pastor of Union Church near Lakeland, GA. His great grandfather, William Anderson Knight, had served 100 years earlier as the original pastor of Union Church. That year he also served as pastor at his home church, Empire. Orville A. Knight was first married in 1892 to Mary Ellen Cook (1876-1939). She was a daughter of John Jasper Cook and Lucretia Sirmans, and sibling of Aaron Cook and Charlotte Cook. Following her death, Knight was married a second time in 1939 to Mrs. Margaret Texas “Maggie” Overstreet. She was the widow of James Willis Overstreet, and a daughter of Elbert Mathis and Martha Susan “Mattie” Pounds. From “Gospel Appeal:” Elder Orville A. Knight was born February 28, 1874, in Berrien County, Georgia, and passed away at his home in Valdosta, Ga., Dec 27, 1950. Orville A. Knight united with Empire Church, Berrien County, Ga., on July 22, 1909. He was baptized by Elder W. H. Parrish. On Nov. 27, 1915, he was ordained to the full work of the gospel ministry. Elders forming the presbytery for his ordination were I. A. Wetherington, H. W. Parrish, B. L. Starling, and A. A. Knight. Elder Knight was called to serve his home church, Empire, in 1925 and over the years of his ministry also served as pastor of Ramah, Prospect, Olive Leaf, Bethany (Arabia), Unity, Cat Creek, Wayfare (Cow Creek), Ben James, Union (Burnt Church), Providence and other churches.